Have you ever wondered why your resume is not getting you interview calls despite all the efforts that have gone into it? Yes, I am talking about interview calls because is what resumes are meant to achieve. If you were thinking that a recruiter would offer you the job position only on the basis of your resume, then you are gravely mistaken. No recruiter, in his right minds, would ever offer a job role without evaluating you in person. So coming back to the main agenda, the main reason that your resume is not getting you interview calls is because it is not engaging enough. The average recruiter spends about less than 30 seconds to scan a resume. It is therefore quintessential that your career resource have the ability to engage the recruiter by being crisp, concise and strictly related to the job profile being targeted. There is no need to write paragraphs about yourself in a language that would seem confusing even to the most educated professionals. But apart from the cliché lines, generic formats, people commit a lot of mistakes and it would take much more than a blog to do justice to them while explaining about these mistakes. 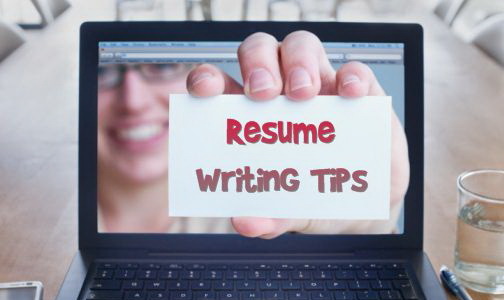 But for those who want to make a quick change to their boring resumes, just follow these 3 amazing resume writing tips and you should be able to increase your chances. Alternatively, you could seek out good resume writing services or a resume builder online to assist you in creating a good and effective resume. Your resume should indeed be your story and it should be crafted with such precision that the recruiter is convinced of your capabilities and is moved into giving you a chance for appearing for a personal interview. Gone are the days when the resume was considered to be a document that used to get you interviews easily, even if the content was bland and boring. Nowadays, resumes are used to make quick and firm decisions on who gets the slot at the interview. And with the rising unemployment numbers, your resume needs to be a shining star if you want to get even a slight chance of being noticed. The articulation of job responsibilities and achievements is all about maintaining relevancy between both of these crucial aspects. Without a relevant list of responsibilities, you would not be able to strengthen or support your achievements as everything would appear out of context. Similarly, without achievements, you would be portraying yourself as an average employee who has not managed to get even a single notable achievement in his professional career. So make sure you manage the articulation of these two important components very carefully. Recruiters have often expressed that they are distracted by these so called multiple versions of resumes that people send in. For example, a person may have sent in an application for the post of Operations Manager with his resume depicting that and the very next moment, the recruiter finds another resume by this same person but now it has been modified to suit the application for an HR Manager. This should be avoided or else the credibility of your resume weakens to the extent that no recruiter would consider giving you a proper role in the organization because you would have shown that you lack focus.